We've reached another tipping point in history. The collision of hardware and software—the confluence of the virtual and physical—changes everything from products, industrial practices, and business models to appliances, automobiles, and job opportunities. Today's Internet of Everything is a classic market disruption, with immense unimagined opportunities and more than a few thorny challenges. Join Tim O'Reilly, founder and CEO of O'Reilly Media, and Jim Stogdill, who leads O'Reilly's Solid, in a live-streamed conversation about the current state of the convergence of hardware and software, what this means beyond the Internet of Things, new promises and pitfalls, some opportunities we may not have thought of yet, and a vision for the future. Register free to get the livestream link and join this conversation. We want your questions: Have questions for Tim and Jim? Submit them in advance to @OReillySolid or to solid-newsletter@oreilly.com. We'll feature the best ones at the livestream. 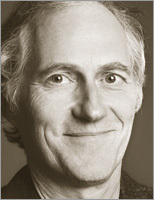 Tim O'Reilly is the founder and CEO of O'Reilly Media. His original business plan was "interesting work for interesting people," and that's worked out pretty well. He publishes books, runs conferences, invests in early-stage startups, urges companies to create more value than they capture, and tries to change the world by spreading and amplifying the knowledge of innovators. 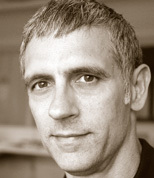 Tim is also a partner at O'Reilly AlphaTech Ventures, a founder and board member of Safari Books Online and Maker Media, and on the boards of Code for America and PeerJ. @timoreilly. Jim Stogdill heads up O'Reilly's Radar and Strata businesses. A lifelong technology practitioner he's finding this media thing ridiculously fun. In a previous life he traveled the world with the U.S. Navy. Unfortunately from his vantage point it all looked like the inside of a submarine. He spends his free time hacking silver halides with decidedly low-tech gear. @jstogdill.